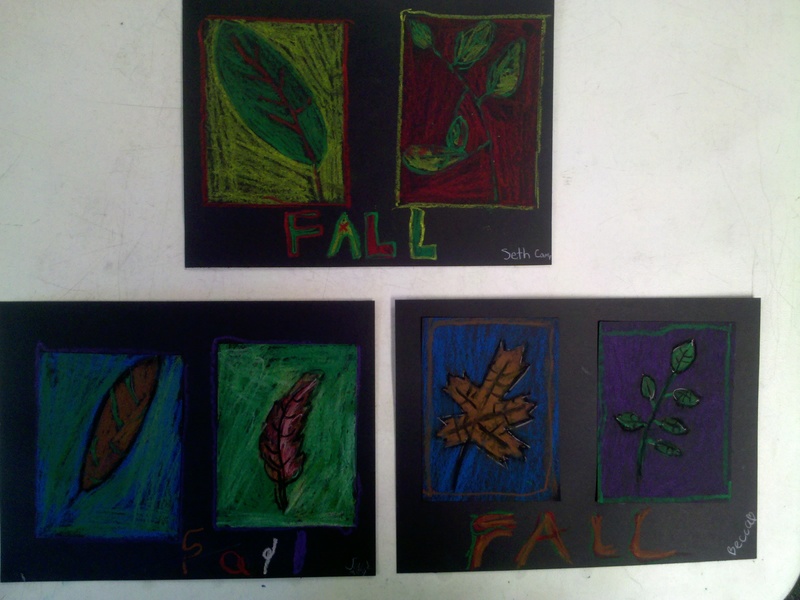 Oil pastels on black construction paper never fails to impress, don't you think?! 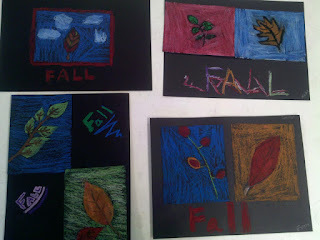 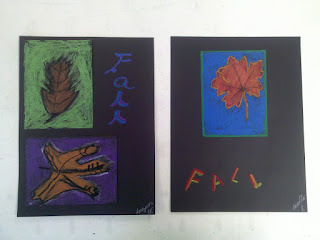 For this lesson we practiced a few different types of leaf drawings on scratch paper. 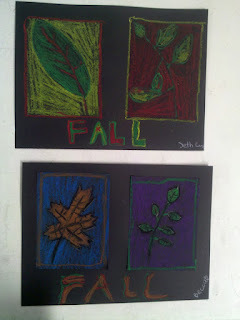 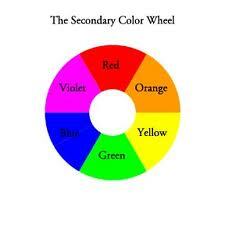 We also talked about complementary (opposite) colors on the color wheel and how the leaves will pop if they used complementary colors for the backgrounds. 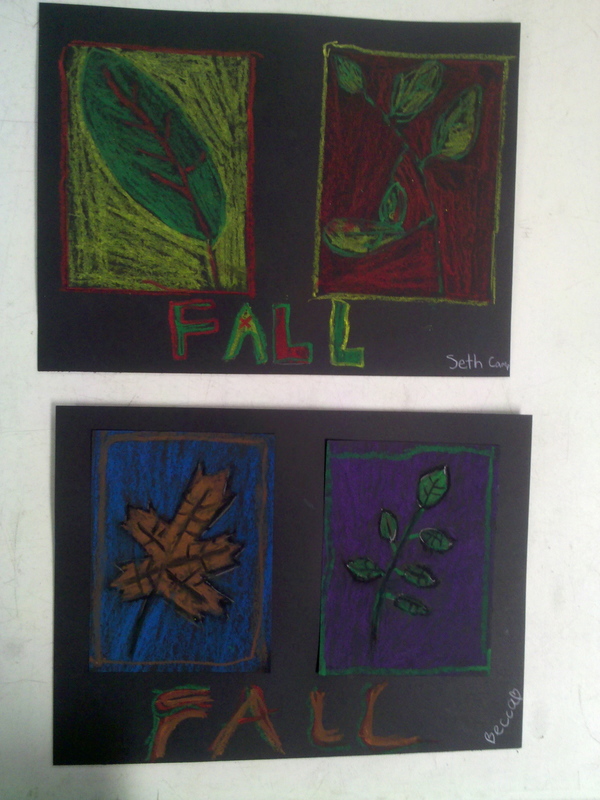 Kids were each give two 3 1/2" x 5" black pieces of paper for the leaf drawings, and a 9x12" black paper for background. After gluing on the leaves, they outlined the drawings w/ contrasting pastel colors if they had time.